Action speaks volumes about Dr. Dominici’s commitment to diversity as she has and continues to be a champion for women in academic science. Dr. Dominici is currently the chair of the Harvard T.H. Chan School of Public Health Committee on the Advancement of Women Faculty (CAWF) and previously co-chaired the University Committee on the Status of Women at Johns Hopkins University from 2005-2009 (with Linda P. Fried, now Dean of the Mailman School of Public Health at Columbia University). As someone who is constantly juggling multiple roles, her empathy for the pressure women face balancing their careers and family responsibilities makes her the ideal spokesperson for women in science. During her tenure at Johns Hopkins, she was the lead author of a paper entitled “So Few Women Leaders”. She conducted interviews of several women in leadership positions and in this paper, she characterizes the root causes for the disparities of leadership opportunity for women and men (see web link above for details). In 2009, she was awarded the Diversity Recognition Award by the President of Johns Hopkins University for her benchmark efforts in addressing these issues for the whole University. 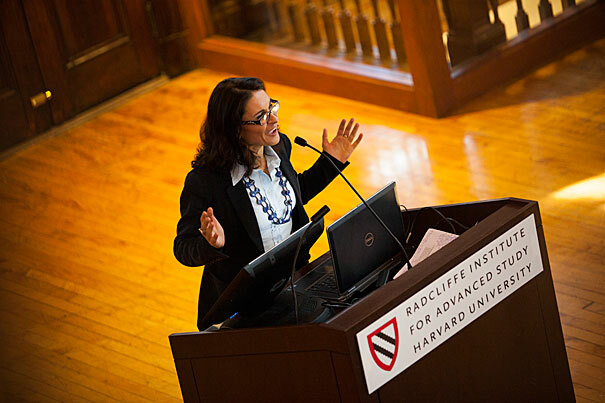 More recently, Dr. Dominici has given lectures and moderated panel discussions across Harvard on work-family balance. At an event hosted by the Committee on the Concerns of Women at Harvard, she led a discussion of Anne-Marie Slaughter’s Atlantic article, “Why Women Still Can’t Have It All.” She spoke of the familial constraints that often force women to drop out of the academic pipeline and the resulting under-representation of women in leadership positions. In 2015, Dr. Dominici was awarded the Florence Nightingale David Award. This award is sponsored jointly by the Committee of Presidents of Statistical Societies and the Caucus for Women in Statistics. She was selected for this award based on her work as a biostatistician, her ability to lead multidisciplinary, collaborative groups, her education and service to the profession, and more importantly her status in the field as a role model to women. In 2016, she was awarded the Janet L. Norwood Award for Outstanding Achievement in Statistical Sciences. In bestowing the award to Dr. Dominici, the University of Alabama at Birmingham’s School of Public Health recognized not only her scientific achievements but also the accomplishments of all women to the statistical sciences.